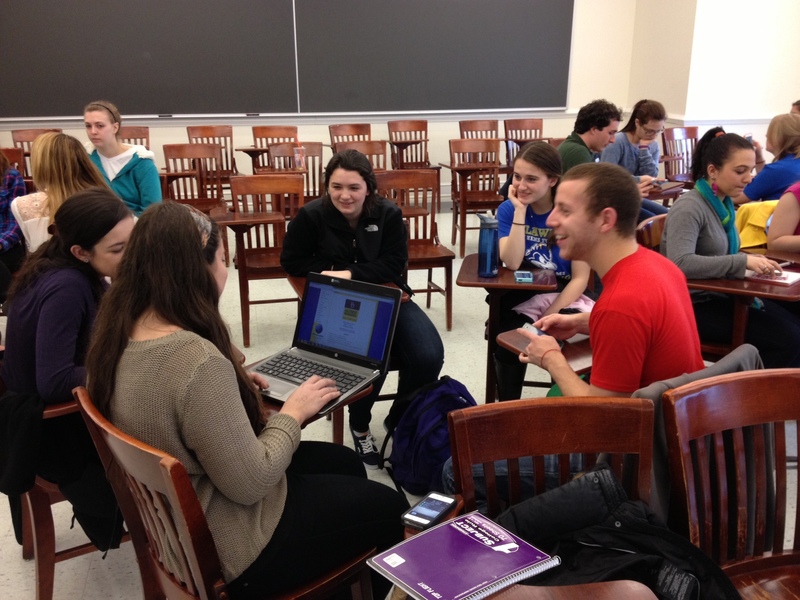 PRSSA-UD members participate in a social media and ethics activity at the last meeting on Monday, March 11. Want to be on the PRSSA Executive Board? Apply today! Note: Applications are due on Wednesday, April 3 to the Department of Communication in 250 Pearson Hall. Interviews will take place during the afternoon of Sunday, April 14. Applicants must speak to the executive board member whose position they would like. Any questions? Please email PRSSA-UD president Chelsey Rodowicz at chelseyr@udel.edu. Mark your calendars! We will be travelling to Brownstein Public Relations in Philadelphia for an agency tour on Friday, April 5th. Time is TBA! If you’re interested in joining the National Conference Committee, please email vice president of external affairs Mollie Berner at mberner@udel.edu. This committee will be helping Drexel PRSSA, the host chapter of PRSSA National Conference 2013, plan activities, outreach and more! PRSSA 2013 National Conference 2013: Foundation for Innovation will take place from October 25 – 29 in Philadelphia, PA.